No, you wouldn’t want the long-clawed yet adorable grizzly in your living room, but now you can have the next best thing! 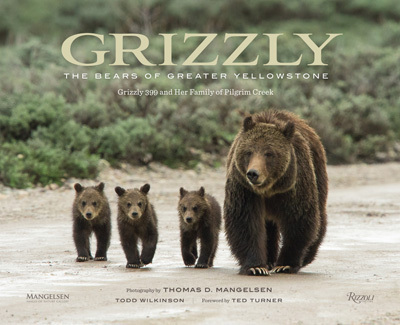 Grizzly: The Bears of Greater Yellowstone is the culmination of 10 years of work, and it’s one of the most timely books to be published this year. The bears almost became extinct due to logging, mining and poaching in the area in the 1970s. The Endangered Species Act saved the grizzlies, but they’re once again facing a threat from us. Believe it or not (I had trouble believing it! 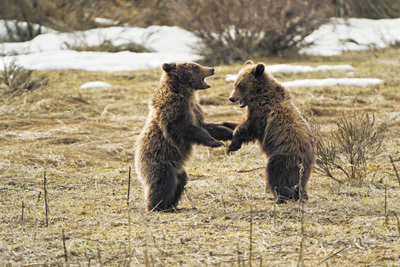 ), grizzly bears may lose their federal protection. It may soon be legal to pursue them in trophy hunts right here in the United States. Are you shocked? 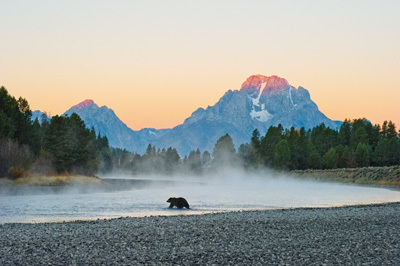 Read more about the status of grizzly bears at the NPS. Disclosure: I received a complimentary review copy of this book from the publisher. 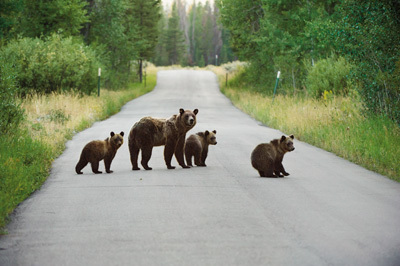 Grizzly 610 and cubs walking along Pacific Creek Road. 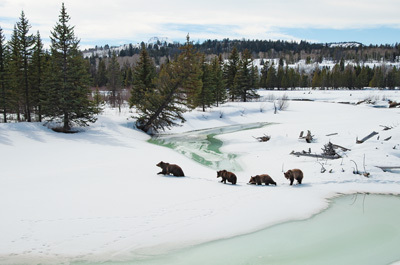 Grizzly 399 and her three cubs cross Buffalo Fork in Grand Teton National Park, Wyoming. This book will be released by Rizzoli on October 13, 2015. Follow the Rizzoli link, and you can find out where to buy the book locally or online. 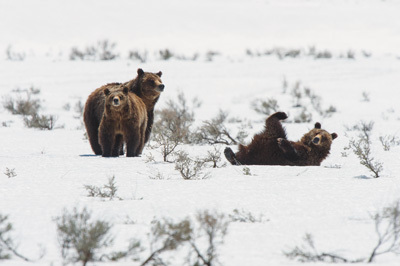 Grizzly Bear 399 and cubs walking over snow-covered sagebrush in Grand Teton National Park.